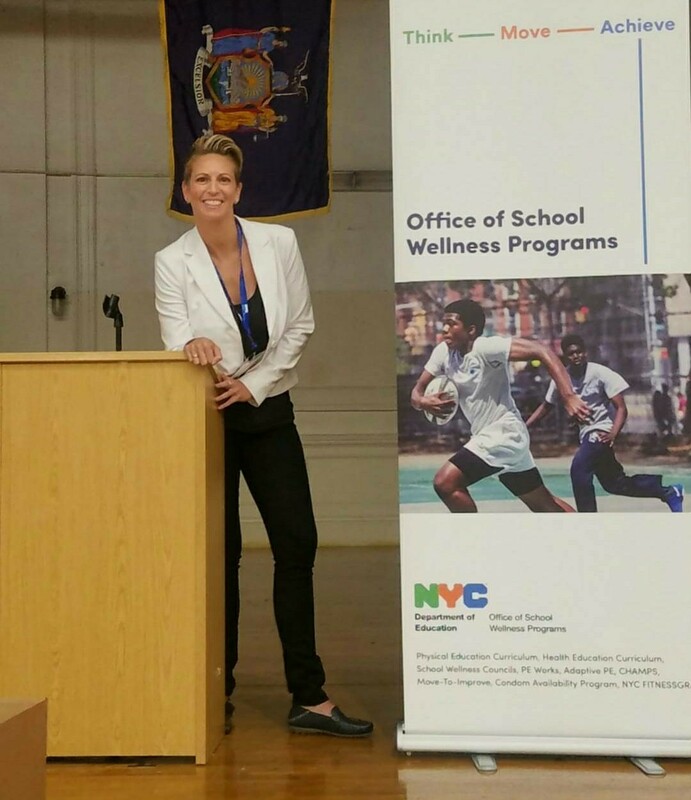 It does not feel that long ago when I joined Wellness in the Schools in 2011 as a coach on the PS 87 recess yard. When I moved into a leadership role, I was charged with building the Coach for Kids program to match the impact of the Cook for Kids program – fighting childhood obesity using two sides of the same coin. I always viewed our Coach for Kids program to be more than a recess program, just like our Cook for Kids program is more than a cafeteria program. The impact we set out to make is a big one. Our vision/end goal stands at the very top of a steep mountain that not only takes tireless miles of steps, but people helping people, holding hands, inspiring one another to keep fighting, and joining forces to become even more resilient. Wellness in the Schools meets communities where they are and shifts their entire school culture, diving deeper than the recess yard and the cafeteria. That is the heart of our program. To support that fully, we have created systems for schools to build a comprehensive wellness model, reaching the mindsets and habits of the administrators, teachers, parents, and the students. My first step in building a strong Coach for Kids program was to build an even stronger team. We are now heading into our 5th year of our Fellowship program with Adelphi University. Almost 100% of our WITS Coaches are graduate students, earning their Master’s Degree in Sports Based Youth Development Physical Education. This highly competitive fellowship has raised the bar and the expectations of our coach program. And its success has garnered the attention of many other universities interested in similar fellowships. The impact of our work has also positioned us as an expert in this academic space, and we were invited to present at SHAPE America in March, one of the leading conferences on fitness education in this country. 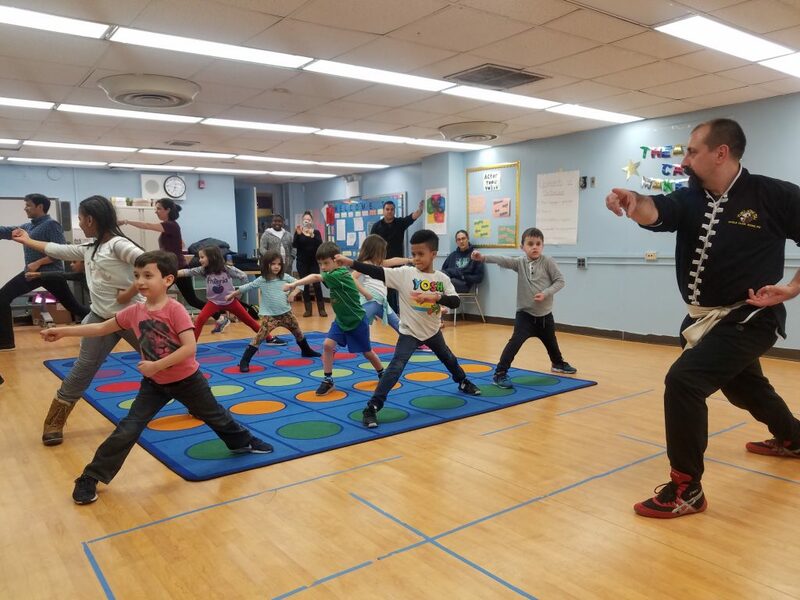 We just launched our first Annual Move for Kids campaign, through which several fitness studios and influencers in NYC and Miami raised money for WITS. I received the opportunity to introduce WITS to the international audience of Daily Burn, an online streaming fitness platform with a membership of approximately 2.5 million. Even though the thought of working out on live video was somewhat frightening, I took on the challenge. After the invigorating workout, I was able to share our work in a 10-minute interview. While I was a little sweaty throughout the entire interview, it certainly helped to build our Coach for Kids network. This campaign highlighted so many passionate groups of people that heard of WITS for the first time, who all genuinely want to join our mission in some way. Does your kiddo love working out with you? Here’s an exercise routine led by Wendy Siskin, Senior Director of Wellness in the Schools, that will get both you and your little one moving. It is an exciting time for Wellness in the Schools. I continue to follow the inspiration from our fearless leader and founder, Nancy Easton. I am honored and inspired daily by the leadership role I have been given. My role this year as Senior Program Director has allowed me to view our work with an even broader lens, and as a thought leader. Our work in NYC, the largest school district in the country, remains an incredibly valuable testing market as we develop more programs across the country. Our WITS culture lives by the Phil Jackson quote, “The strength of the team is each individual member. The strength of each member is the team.” In order for our programs to be successful, we must empower our teams to give our schools the tools, the knowledge, and the confidence to be able to sustain them. 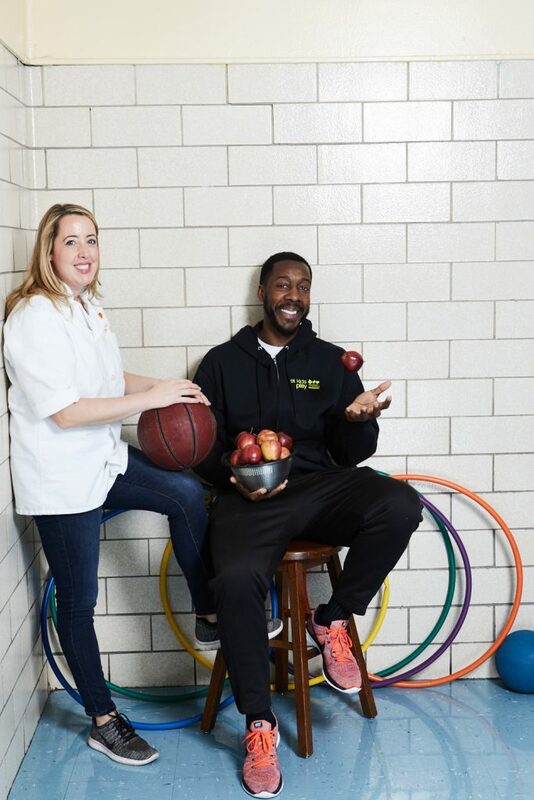 We are now at a place where our Chefs and Coaches work together as equals, both sides of the coin, teaching as a team to show the power of good food and fitness to end childhood obesity. I’m consistently challenged and inspired by the work we do and everyone who holds hands with us to empower our younger generations. This is just the beginning. 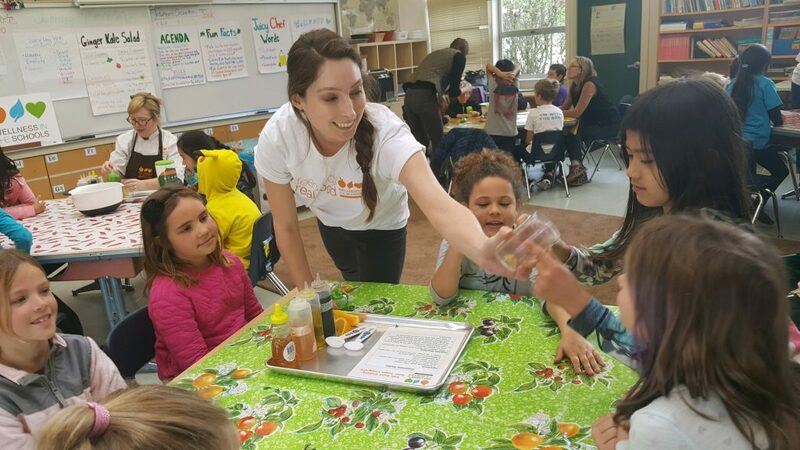 Pastry chef Emily Luchetti has followed the work of Wellness in the Schools for years, but living and working in California had prevented her from getting involved in a hands-on way. So when WITS expanded our CookCamps to the Bay Area in 2017, the opportunity to make an impact excited her. Luchetti began her culinary career working in some of New York City’s top restaurants. After seven years in NYC, she moved to San Francisco in 1984 as part of the opening team at Stars Restaurant. Three years later, she transitioned to a pastry chef role and immediately found a renewed sense of creativity and inspiration on that side of the kitchen. 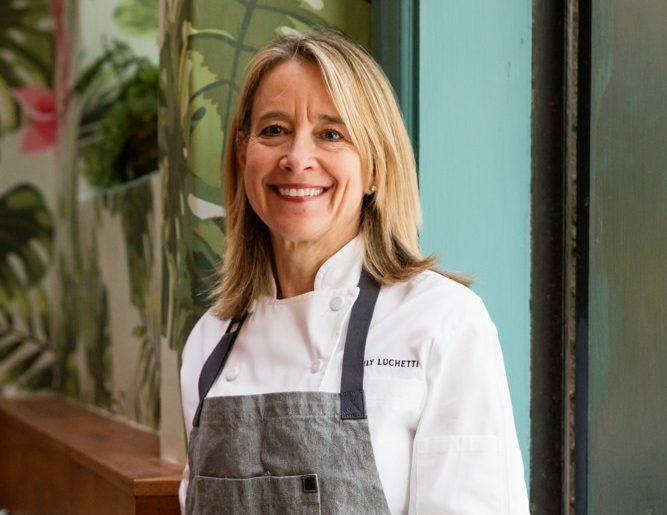 Currently, Luchetti works as the Chief Pastry Officer for Big Night Restaurant Group in San Francisco, overseeing dessert programs at the company’s four restaurants. While Luchetti enjoys her sweets, she stresses the importance of balancing dessert within a healthy diet for both children and adults. She feels our society has come to expect dessert as a daily occurrence when it really should be a treat. 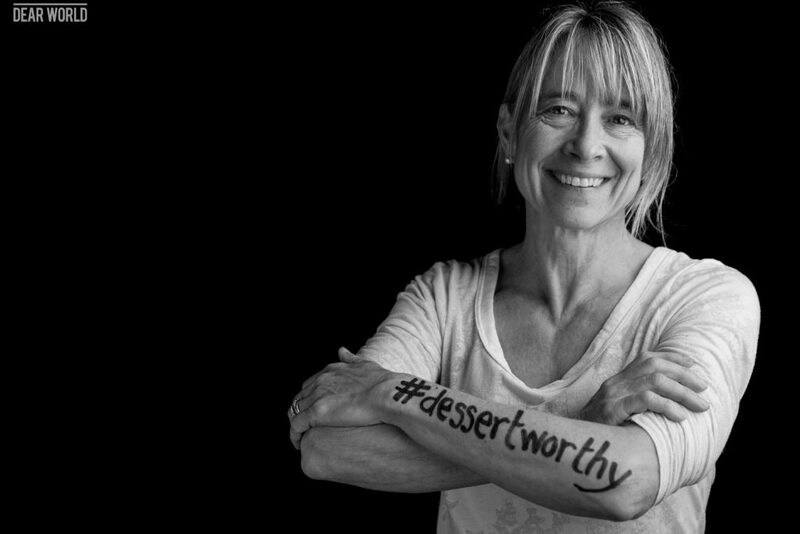 This belief inspired her to found the “dessertworthy” movement to empower people to be more mindful of their sugar and fat indulgences. Partnering with Luchetti, who has amassed more than 30 years of restaurant experience, brings a special combination of expertise, credibility, and exposure to our work in California. 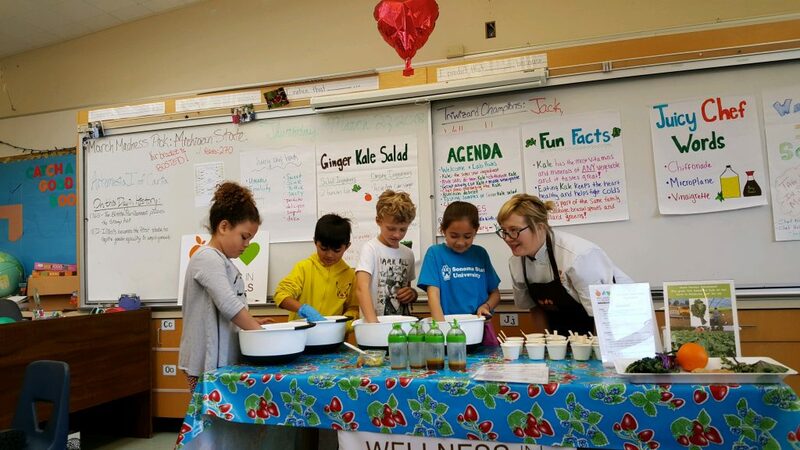 Thank you Chef Emily Luchetti @emilyluchetti for teaching our Hamilton Elementary students how to dress their ginger kale salad today in their @wellnessintheschools Lab! Can you hear that kale? Hint: when it stops squeaking we have massaged the dressing into it well! WITS brought our Labs to California in 2015 when Hollie, one of our very first NYC cooks, moved out west. 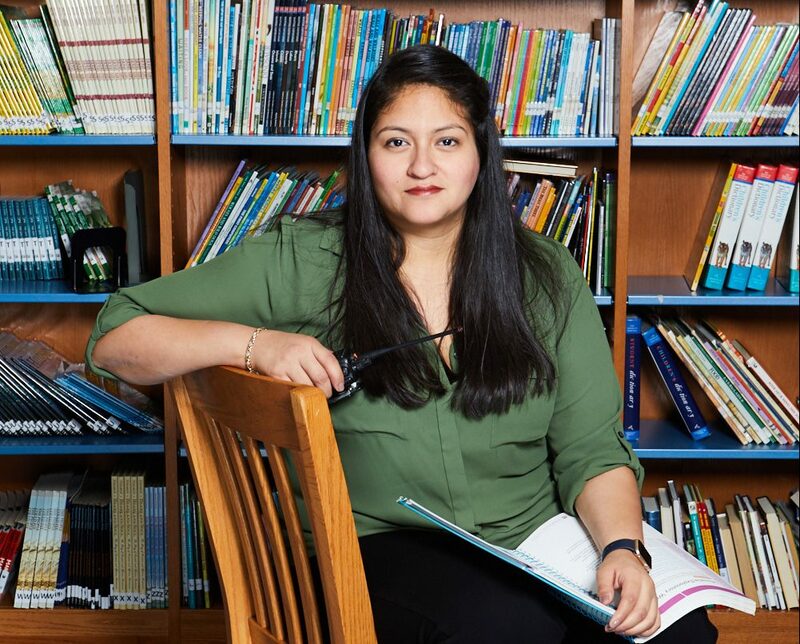 Hollie worked in one school, then six schools with the support of Food and Nutrition Services Director Miguel Villarreal. 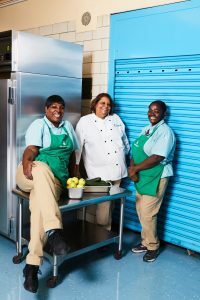 This fall, we launched our CookCamp model and have begun working with school food staff in the kitchen toward the goal of creating a full-year, seasonal menu. Through the Golden Gate Dietetic program, a dozen dietetic interns have joined WITS in a win-win partnership, as our powerful but small California team gets some extra help and the interns receive an opportunity for hands-on experience with child nutrition. Pictured: A dietetic intern helps out during second grade Kale Labs. Wellness in the Schools’ vision of working in partnership with schools and driving systemic change resonates with Luchetti. WITS will continue to grow in California next school year with the implantation of CookCamp, which Luchetti will help organize. CookCamp provides intensive, upfront training for school cooks so they can gain the necessary skills to prepare healthy, scratch-cooked meals for students on their own. The pilot program in Brooklyn last September was a major success. Well-respected, passionate chef partners like Luchetti have been crucial in launching our work to new heights in other parts of the country. We’re excited to advance our impact in California as she blazes new trails with WITS. Preheat the oven to 350°F. Line the baking sheets with parchment paper. Spread the almonds in one layer in a small baking pan and put in the (preheated) oven. Set a timer for 10 minutes and check the almonds to see if they’re a light golden brown. If not, toast 2 minutes longer. Set aside to cool. With an electric mixer or by hand, beat the butter, granulated sugar, and brown sugar until smooth. Add 1 egg, mix until well combined, and then add the second egg. Stir in the toasted almonds, oats, flour, baking soda, and salt until well combined. Put 2 racks in the upper and lower thirds of the (preheated) oven. Place 1-tablespoon (slightly rounded, not flat, not heaping) mounds of dough 2 inches apart on the parchment-lined baking sheets. If you have one you can also use a small ice cream scoop to form the cookies and plop them out onto the sheets (it’s much faster and easier). Flatten the mounds slightly with your hands or the bottom of a glass. Bake for 10 to 12 minutes, until the cookies have browned lightly on the edges but still are soft in the middle if you press them lightly with your finger. Although they may seem underdone, don’t be tempted to let them bake longer— they’ll firm up as they cool. So that the cookies bake evenly you may need to rotate the pans in the oven or switch racks halfway through. Let the cookies cool to room temperature before removing them from the parchment (if you can wait that long). As a waiter working double-shifts at Oceana Mondays through Thursdays, Pedro Goncalves had been looking for a place to volunteer on his Fridays off. When Chef Bill Telepan joined Oceana, Pedro learned about Wellness in the Schools and looked no further. Pedro was raised in a military family and had been exposed to martial arts from a very young age. From Karate, Judo, and Taekwondo, he was doing it all. 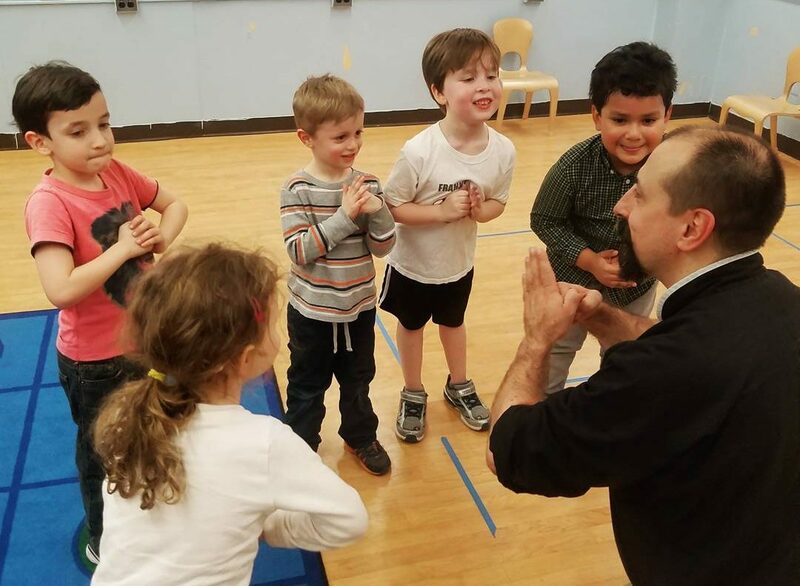 It wasn’t until the 1980s however, when he moved to NYC that he met his sisu (teacher) Danny Cuevas, who introduced him to Kung Fu. 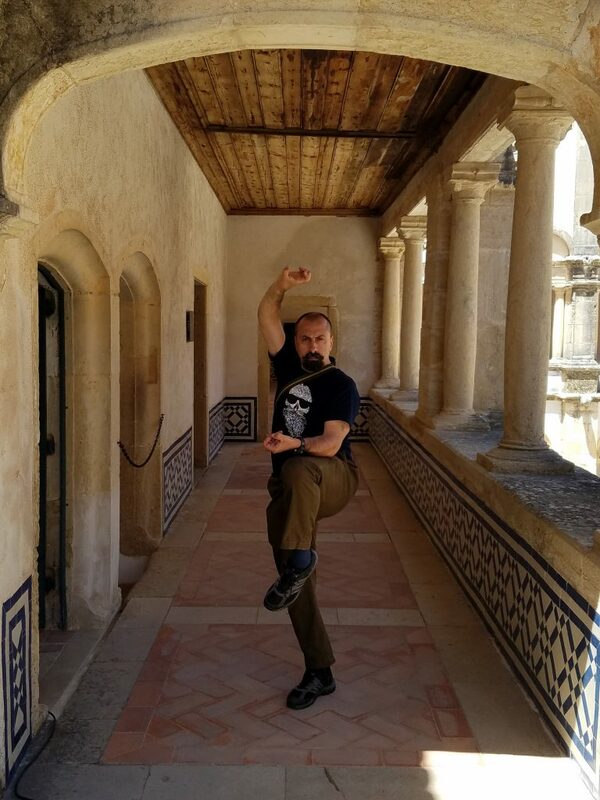 He has since dedicated his mind, body, and spirit to learning from Cuevas and his Grand-Master Leung Shum at Ying Jow Pai. He has spent more than 30 years perfecting the art. Pedro looked up to his grandmother his entire life. From her, he learned that “without work, there is nothing. Sometimes, life is not just about the work you do for yourself but the work you do to help others.” Pedro has truly embraced this motto by working on his days off to help empower kids and families at our schools. He says he learns just as much from kids as they would from him, on lessons ranging from patience to self-empowerment. 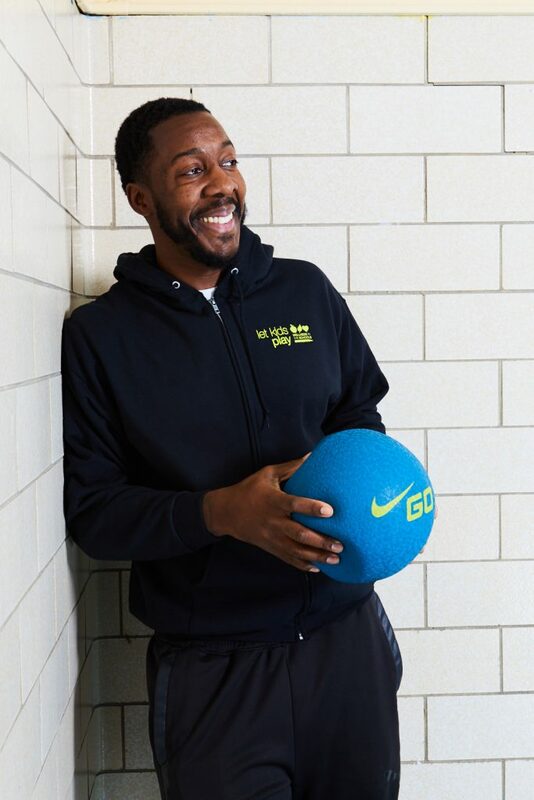 Although Wellness in the Schools is in its 13th year, Pedro believes the organization is just getting started when it comes to the potential impact on children all over the country. “The kids that started with WITS will impact more lives as they get older. Every generation needs to pass something good to the next. I think WITS is helping our youth today plant a healthy seed by educating them on how to cultivate it and nurture it, and by helping them grow it into a beautiful garden of health and wellness. A master gardener at that. 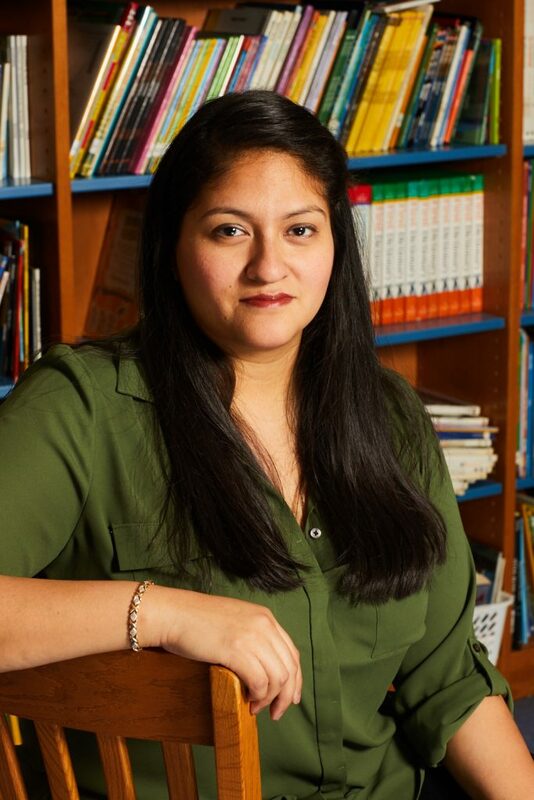 Dr. Natalia Russo is the principal at PS 145. 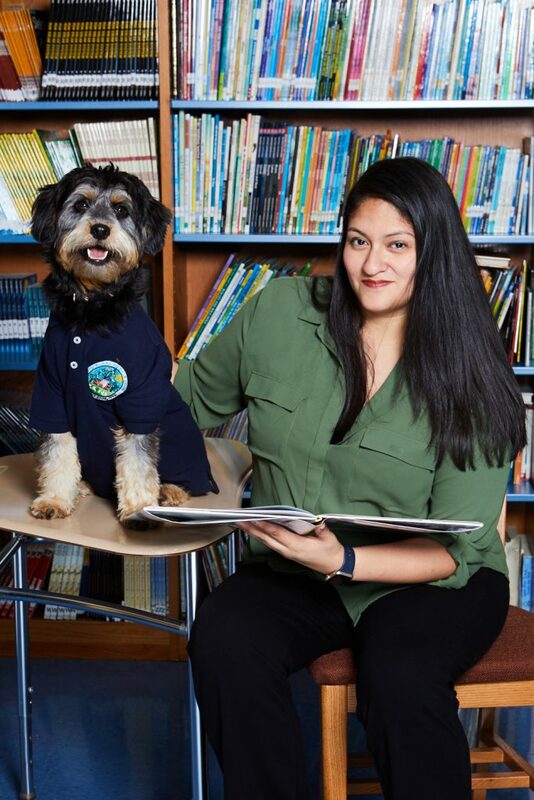 This is her 5th year as principal, and she has been with the New York City Department of Education since 2001. 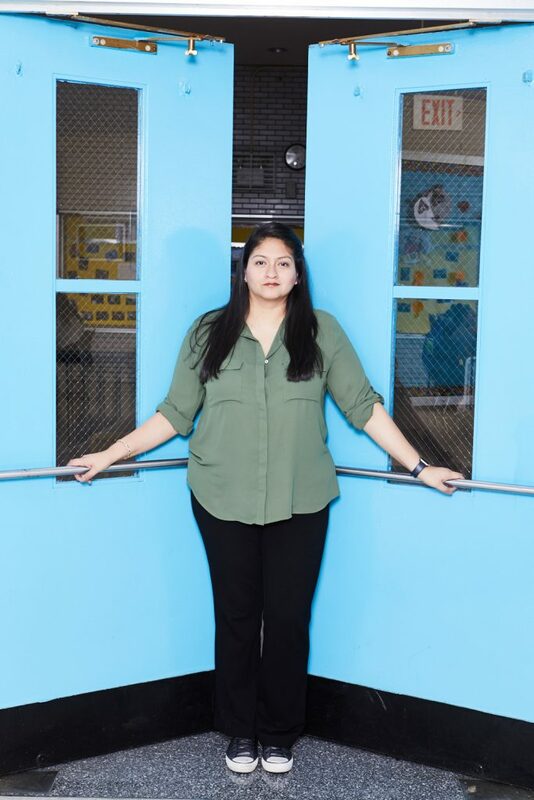 She brought us to her building in 2013, and thanks to a grant by Goldman Sachs Assets Management, we were able to provide our flagship program to both PS 145 and West Prep Academy Middle School. 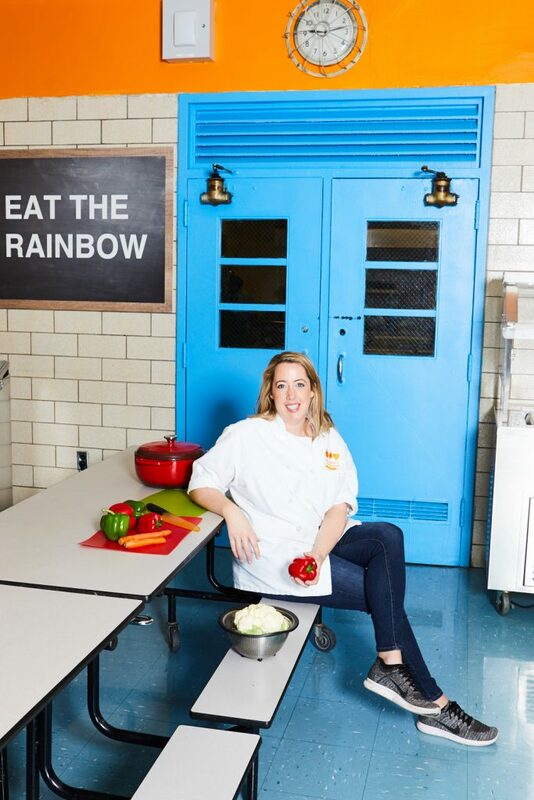 Dr. Russo is one of our strongest advocates – her support for our programs is instrumental, and has helped us to pilot our initiatives such as nutrition education and cafeteria branding. We are grateful to the school for always keeping their doors wide open for Wellness in the Schools, and we are honored to feature Dr. Russo as a WITS Warrior. “Sports and nutrition have always been a big part of my life, even as a kid. At the school I went to growing up, I never was served processed food. I remember early in the morning, I would smell the food cooking in the cafeteria, and that was just normal for me. And at home, my family and I never really went out to dinner. We weren’t exactly wealthy – parents worked 2 jobs, money was not a luxury, and we might go out to eat once every 6 months. Home-cooked meals were always just a staple for us, and my mom was always very conscious of not cooking things that were unhealthy. It’s just the way I was wired. And I was always involved in sports, like volleyball, basketball, and track. Physical fitness has been a part of my life since I could remember, and that’s just something I thought all kids had. When I started working in the public school system, I was surprised to see that kids didn’t get Physical Education every day. All photos taken by Melanie Dunea.